What's the used Audi R8 coupe like? The Audi R8 was a car that changed people’s perceptions of what an Audi could be. Prior to its launch in 2007, the brand was seen as a maker of fine premium-quality family cars and executive saloons, with the occasional rip-snorting, fire-breathing sports model thrown in for good measure. 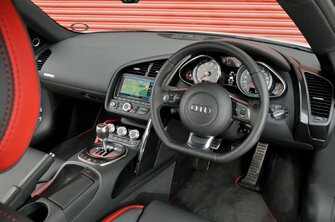 The R8 is unashamedly a supercar, with a lightweight two-seat body, a mid-engined V8, four-wheel drive and the sort of performance once reserved only for Ferraris and Lamborghinis. It’s a sensible supercar, though, being usable, reliable and easy to drive, and it didn’t take long for people to realise it was a very fine car indeed. Now, anyone searching for a used high-performance car could do no better than seek out an R8. Its 4.2-litre V8 engine was joined in 2008 by a 5.2-litre V10, a modified version of the engine used in the Lamborghini Gallardo, and fresh-air fanatics could enjoy an open-top Spyder version soon after that. A refreshed model appeared in 2012, with a superior seven-speed S tronic dual-clutch automatic gearbox option and new headlights, grille and interior trimmings. 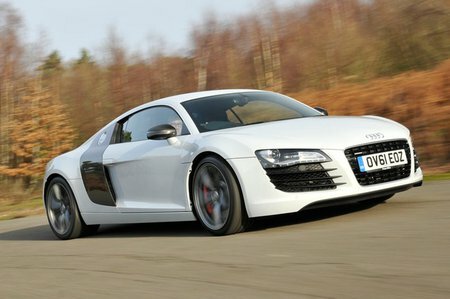 There were also a number of stripped-out and limited-edition models available at this time, too, although the V10 R8 Plus was the top-of-the-range version, with an impressive 0-62mph time of just 3.5sec. An all-new, second-generation, lighter and stiffer R8 went on sale in 2016, carrying on all the good qualities the first version of this very able sports car displayed.